Ask a kid what they want to be when they grow up and you are likely to hear doctor, fireman, nurse, veterinarian. But what they should be saying is social media manager, risk management specialist or cybrarian. Let's take a look at several career fields that are booming, even in these tough economic times. Most people have never heard of them - but that does not mean that they are not rewarding opportunities for the future! Social media have emerged in the past few years as a serious addition in the business world. Although MySpace, Facebook, Twitter and Foursquare began as ways to kill time or connect with friends, they have morphed into extensions of a company's brand. Most businesses know that if they don’t embrace social media that they’re going to fall behind their competition. Social media managers and strategists help organizations understand how to use social media to connect with customers, what messages they should be conveying and how to measure success. Social media experts can be part of a marketing campaign that is promoting a new ad campaign online or they can be liaisons who interact with customers and present feedback to managers and company leaders. 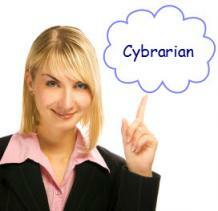 Cybrarians are exactly what the name implies: librarians for the 21st century. Merriam-Webster defines a cybrarian as "a person whose job is to find, collect, and manage information that is available on the World Wide Web." Cybrarians have the same research and data gathering skills of traditional librarians, but they apply that knowledge to online technology. They are experts in accessing online information and using the latest technology to conduct research. Many libraries and research centers do not distinguish between the two, as many traditional librarians have the same education and technology skills as a cybrarian. While librarian jobs are rare in the corporate world, cybrarian jobs are growing in the private sector. Check out the Cybrarian Outpost Blog for the corporate view. Risk management professionals look at specific projects or initiatives, assess the potential damage that could occur to any involved parties and set plans for dealing with it. Although that description is vague, it can be applied to a variety of industries. In one setting, a risk manager might estimate the cost of a natural disaster and what the financial repercussions would be. In the technology sector, a risk manager can look at computer safety issues, such as data leaks or security flaws.